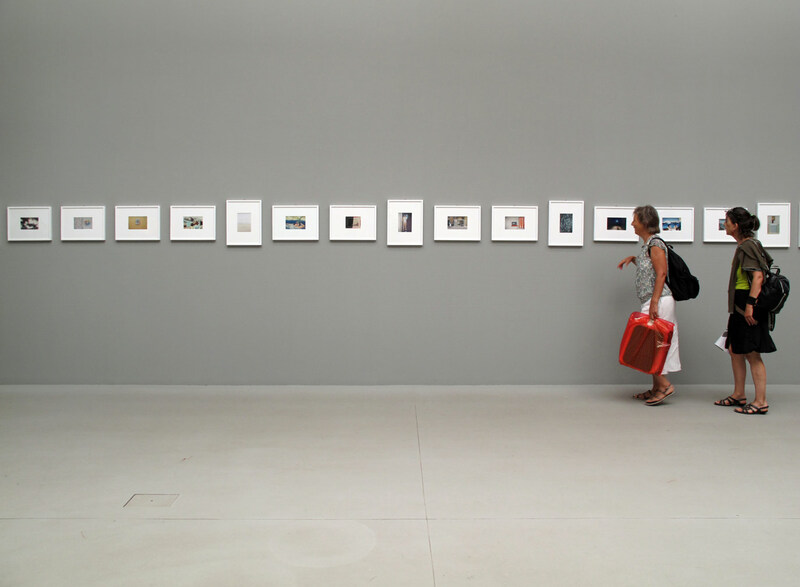 The Central Pavilion at the Venice Biennale has a wall of photographs by the late Italian photographer, Luigi Ghirri. I’m not sure what they contributed to the Biennale theme, Illuminations, but these small colour photographs were enjoyable, and in their way subversive when the standard Biennale artwork is a room-size installation. Ghirri was a well known photographer with a dry sense of humour. 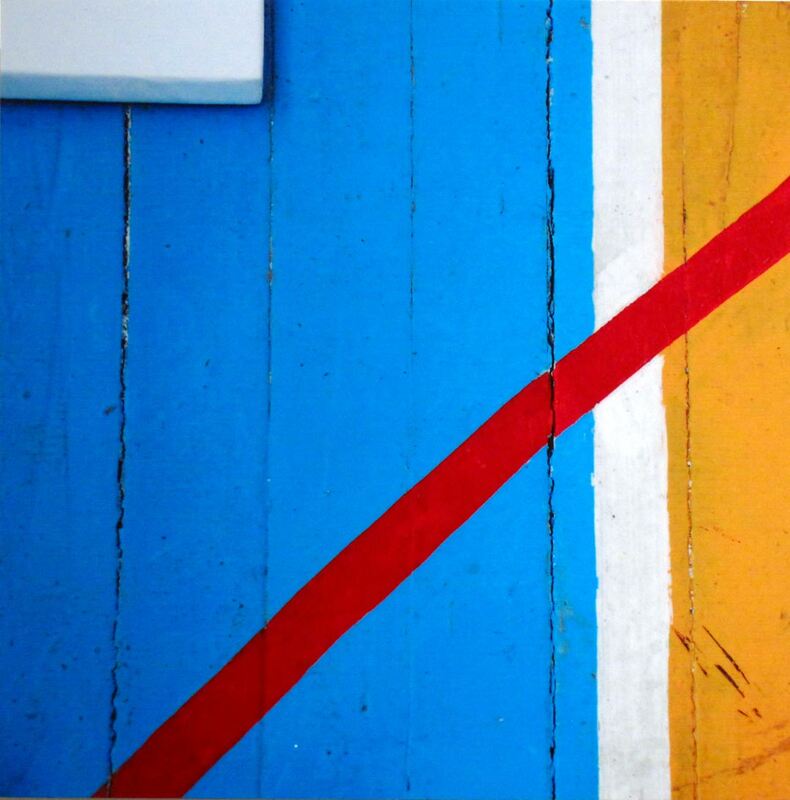 His mild but witty photographs of everyday things contain purely photographic messages, minute observations of the visual world that would not sustain a painting or even a drawing. 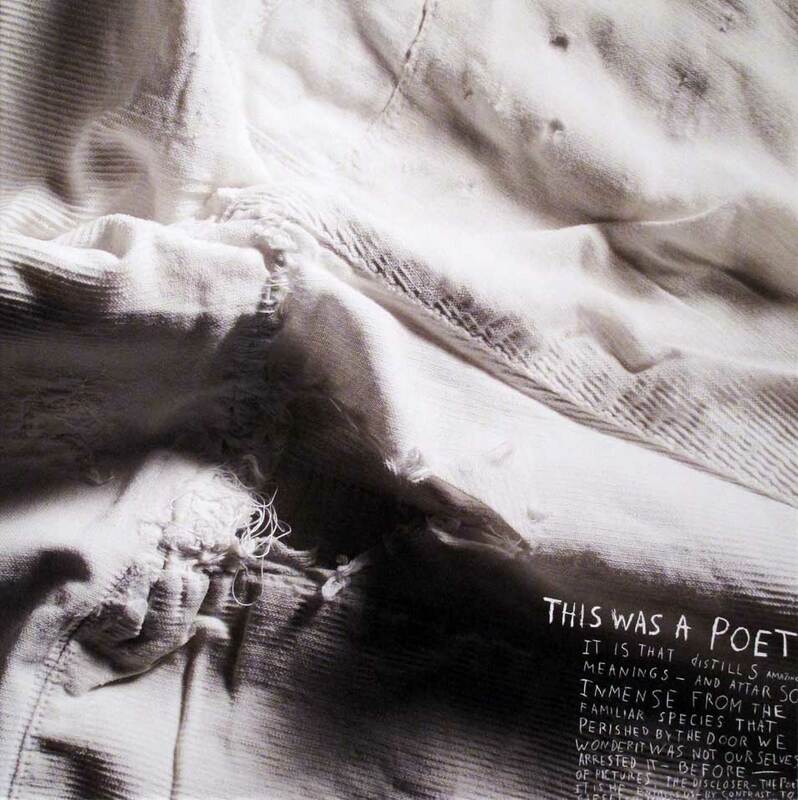 He exhibited and published his work widely in Europe, and was introduced to the U.S. by Nathan Lyons of the Visual Studies Workshop. It’s worth noting the similarity between the work of Ghirri and Nathan Lyons who once published a book of his own, rather similar photographs, with a title that sums up this approach to photography: Notations in Passing. 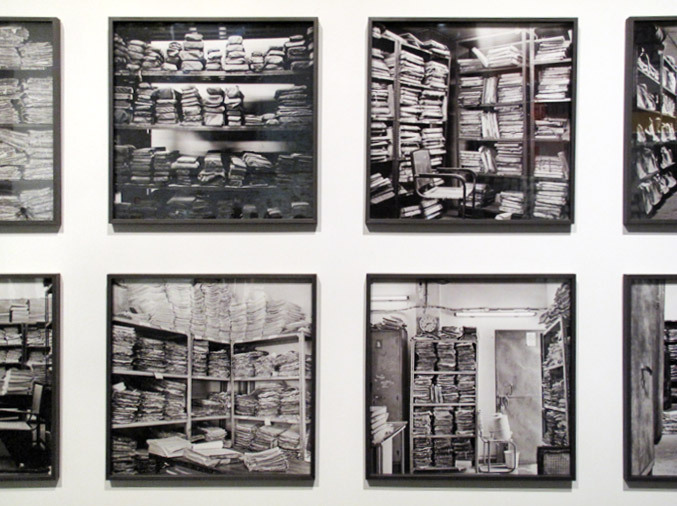 Dayanita Singh’s grid of black & white photographs shows office back rooms in India, stacked with bundles of bureaucratic files, an archive from another time. It’s funny at first, in an alarming sort of way. 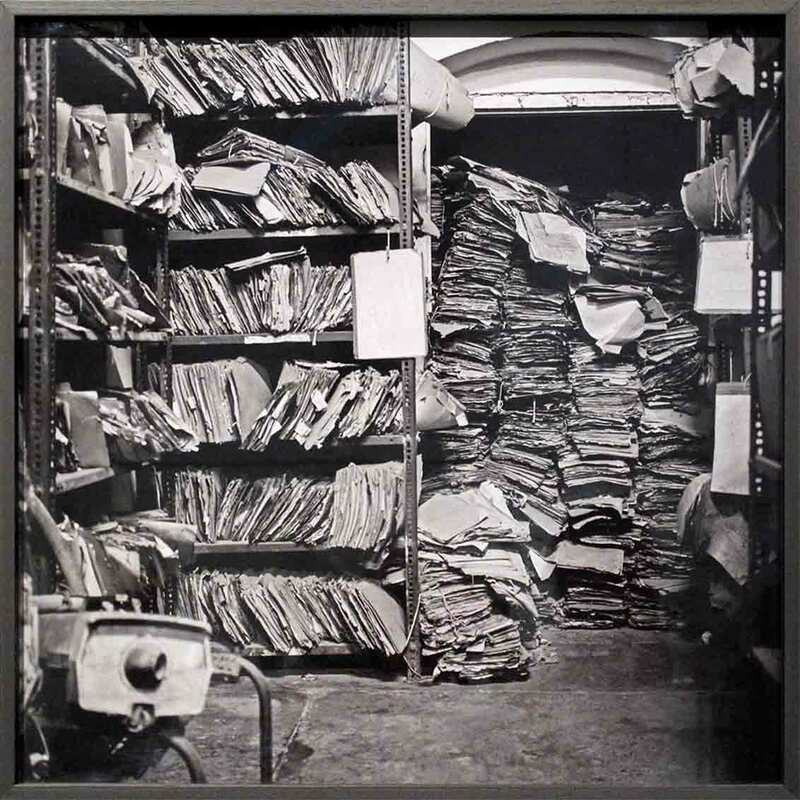 Then you think about all the human experiences packed away in those bundles, the histories of lives, the struggles, circumstances, predicaments that are vetted and filtered in bureaucracies, which in India are notorious for red tape. 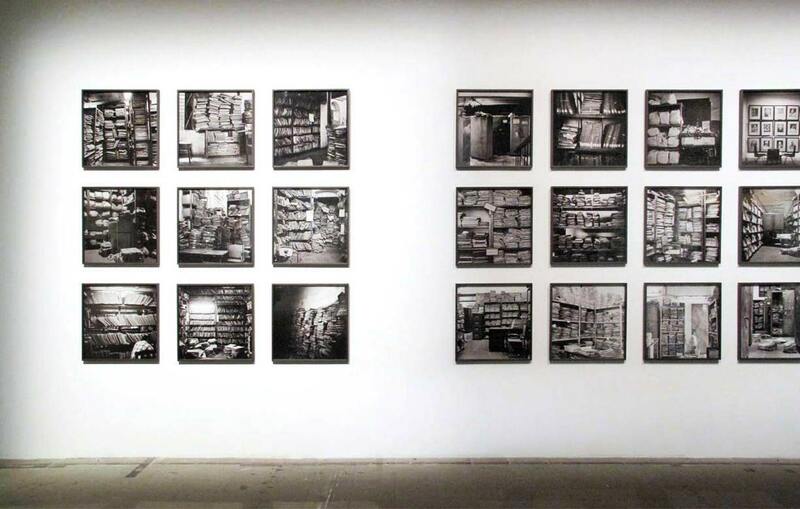 The New York Times described the files in these pictures as “stacked like so many desiccated lives”. 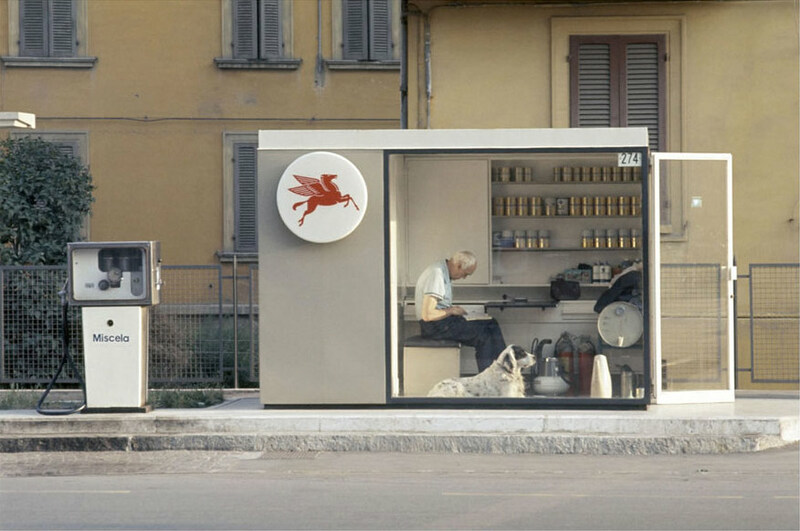 File Room is showing at the Venice Biennale. Dayanita Singh is an Indian photographer working out of New Dehli. She often presents her work in book form and you can see them on her website here. 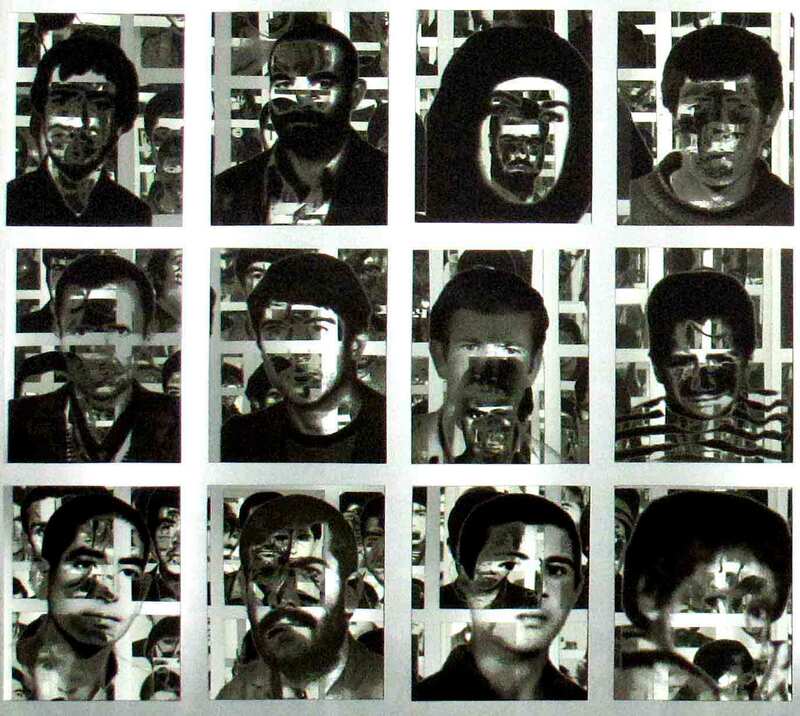 Lingua Franca is the title of the Central Asia pavilion at the Venice Biennale. Eleven artists from Kazakhstan, Kyrgyzstanetc. show work in “a study of contemporary artistic practices as a kind of lingua franca – a language of global communication.” This is a true statement about the Biennale which includes new art from around the world and attracts visitors from around the world, all engaging in the neutral space of art. The artists in this pavilion communicate very well their regional issues in this international language of contemporary art. It’s the surprise of Venice that the work that most engages you is often from the places you would never think of. Tajikistan? 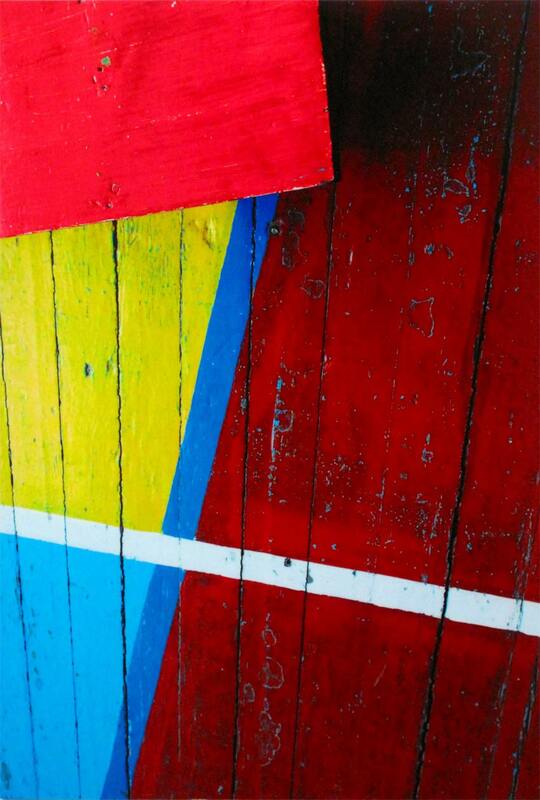 Natalia Andrianova is from Kyrgistan and is showing a series of photographs of abstract patterns: vividly coloured closeups of the floor of a school gym. 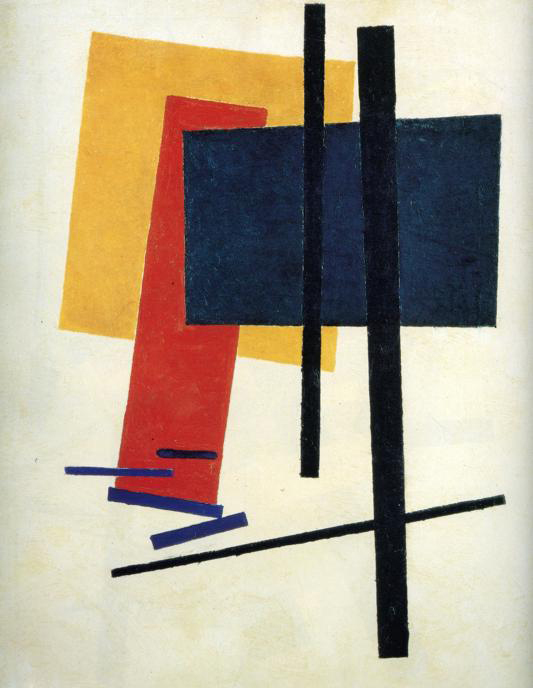 This low subject matter (it’s under the feet) is lifted to the heights of art by its similarity to Suprematism, the first movement in abstract art in the early 20th century. Suprematist paintings sought a lofty purity, leaving behind the base things of the world in a pursuit of pure feeling, through forms. 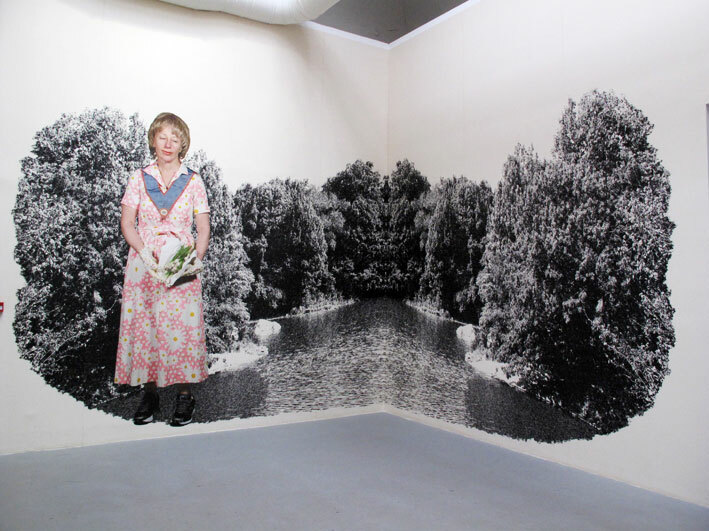 Cindy Sherman is included in the Venice Biennale, four walls of mural prints on Photoext, a commercial display material. 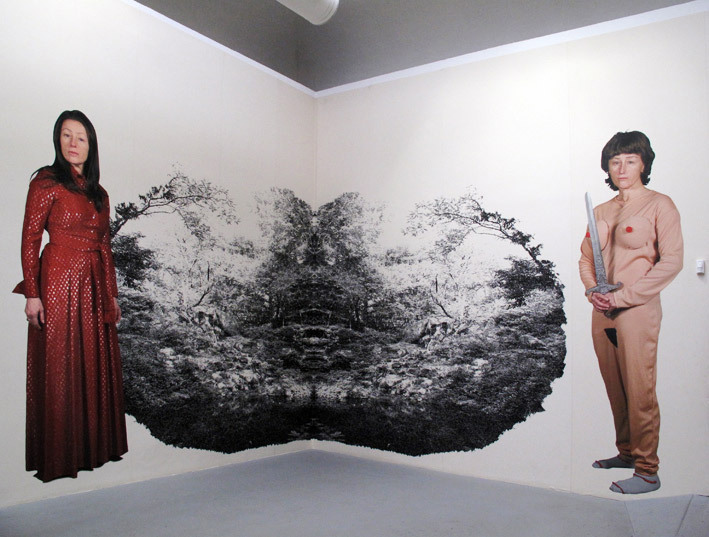 It’s a series of her dress-up portraits combined with 18th century engravings of woodland scenes. The figures seem to comprise a sort of family of eccentrics but it’s notable that she is not wearing make-up in the shots and the facial expressions are not in character. It’s Sherman herself looking at you. A woman hangs from above, inside a wedding dress – or is she a living wedding dress? 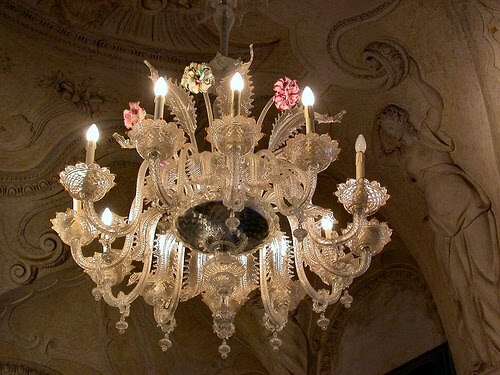 Charlotte Gyllenhammer’s video piece projects onto a ceiling of the gorgeous Palazzo Franchetti in Venice. The apparition in the darkened room is striking, like a moving, organic Venetian chandelier. 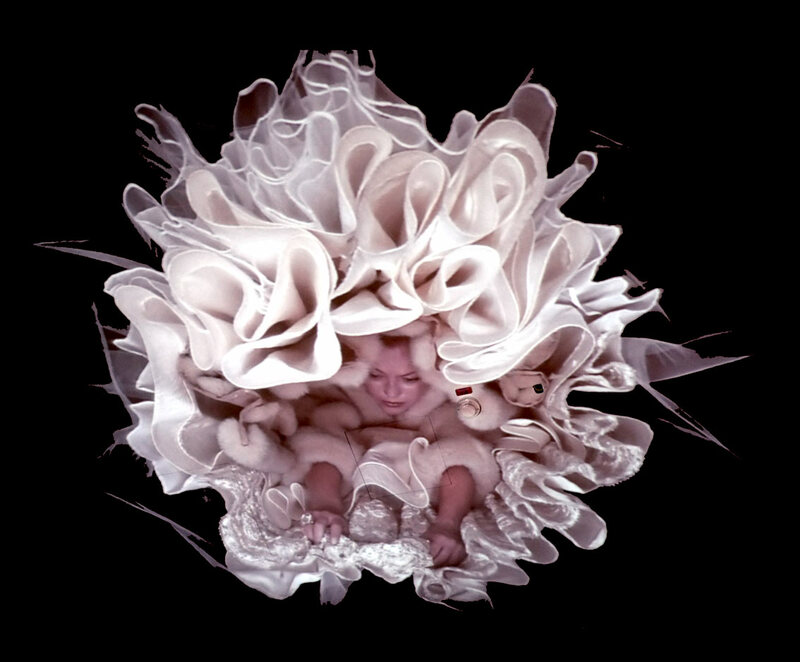 The video work is in Glasstress, a curated exhibition of glass art currently showing in Venice as part of the Biennale. It features sculpture and some video by well-known artists including Zaha Hadid and Tony Oursler. See what the video looks like on Gyllenhammer’s website here. 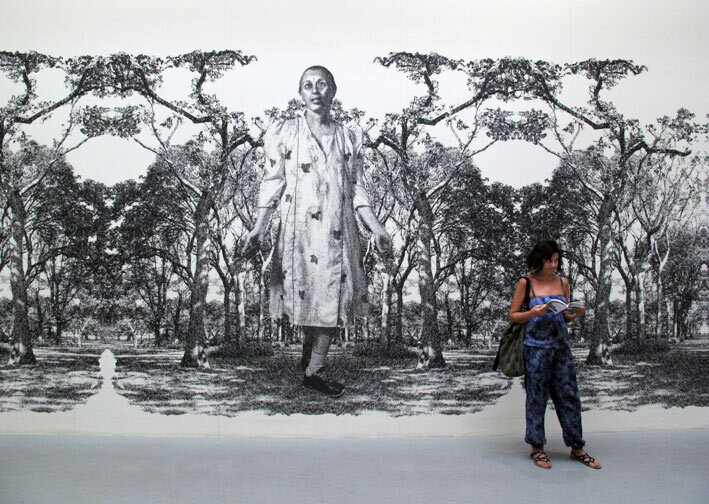 You approach the Iran pavilion at the Venice Biennale with caution. What sort of art would the government of President Ahmadinejad approve? 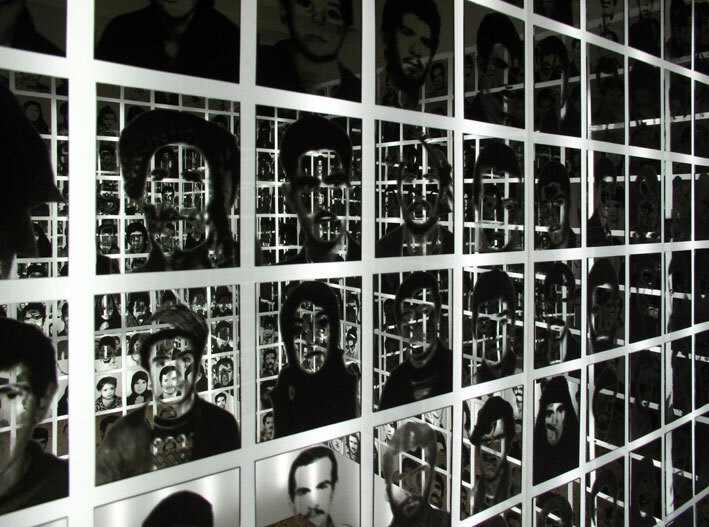 In fact there was a moving and disturbing installation showing hundreds of faces of the dead, not of the recent riots of course, but of the Iran/Iraq war in the 1980s, a far greater conflict and one of the most serious of the 20th century. 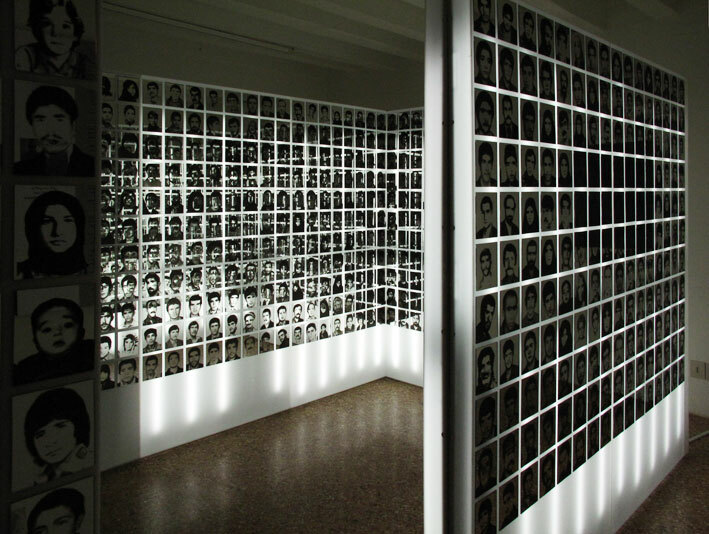 It is a room of infinity mirrors with the faces multiplied by the reflections into a sort of pictorial cemetry, and memorial. 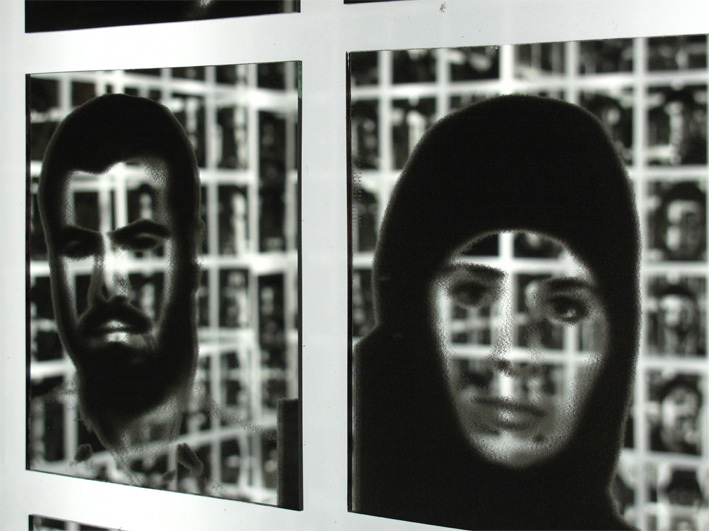 My work is inspired by the 240,000 Iranian martyrs who laid down their lives in the war between Iran and Iraq. Out of 240,000 martyrs, a tiny number of 2000 images were used in the installation due to limited space. I am trying to impart the feeling that any visitor could be the martyr he is looking at. The Tehran Museum of Contemporary Art organized the Iran Pavilion. See this article in The Guardian for a disturbing story about its collection. 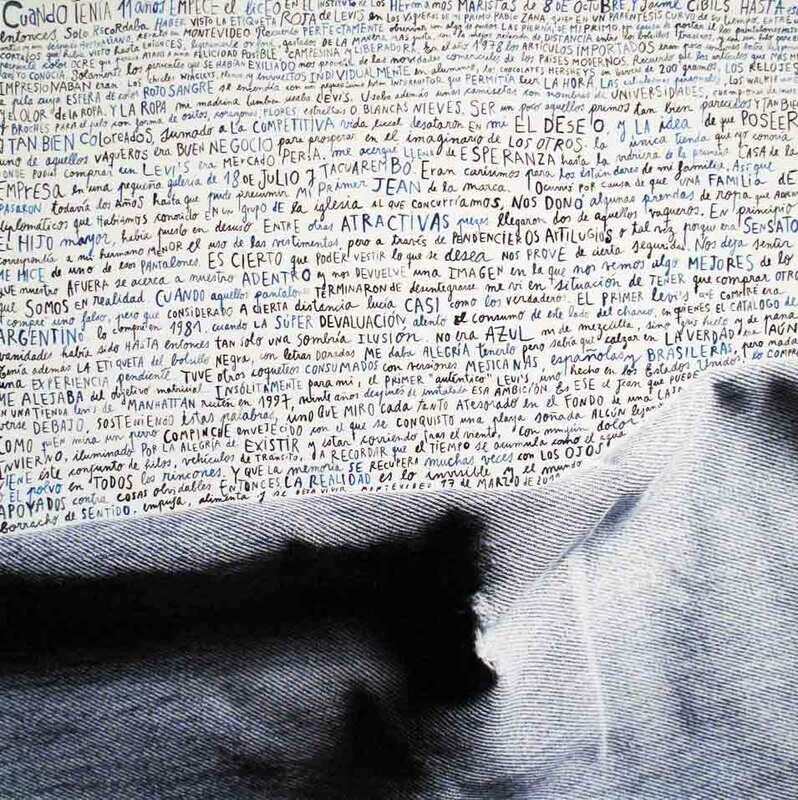 The Uruguay pavilion at the Venice Biennale includes this work by artist Magela Ferrero, closeup photographs of fabric with written text; they are alluring images. 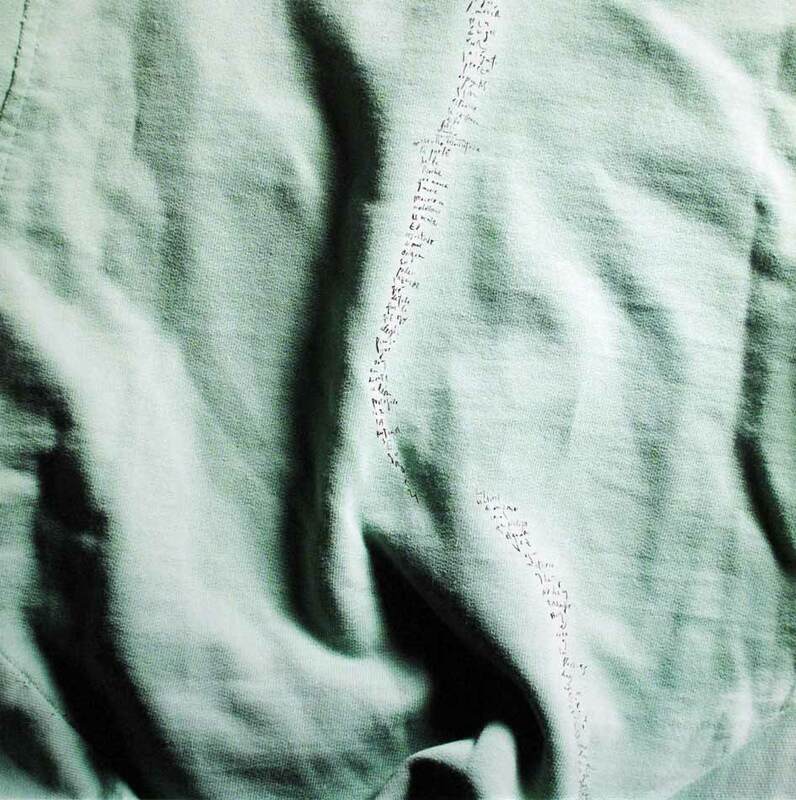 The curator’s statement talks about affectivity: Ferrero’s work is a personal diary of private thoughts and memories.